“Fine Books & Collections covers a broad range of topics and subjects of interest to book collectors, dealers, librarians, curators, and bibliophiles, from early manuscripts, to modern first editions and fine art, and everything in between.” 90% freelance. Welcomes new writers. Circ. 8K. Quarterly. Pays within 30 days of acceptance. Publishes ms 2-3 months after acceptance. Buys all rights. No reprints. Responds within one month. Sample copy online at http://store.finebooksmagazine.com/back_issues.aspx. Subscription $19.98, $29.98 Canada; $39.98 other. Guidelines online at http://www.finebooksmagazine.com/writing. 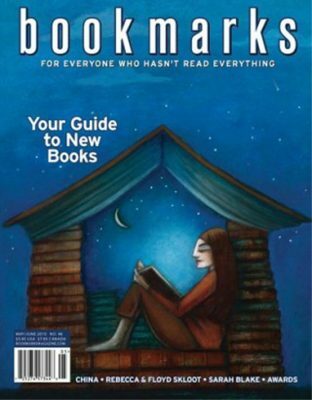 “Bookmarks magazine introduces readers to the “best in books” through consensus-oriented reviews of new books in all genres, classic and contemporary author profiles and interviews, book group and reader picks, and more.” Welcomes new writers. 50% freelance. Circ. 40K. Bimonthly. Pay varies by article type and ranges from $30-$400. Publishes ms within one to two issues after acceptance. No reprints. Responds within one week. Sample article at website. Subscription $27.95. 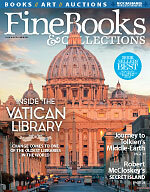 Guidelines email Jessica at jessica@bookmarksmagazine.com.Guidelines email Jessica at jessica@bookmarksmagazine.com.